Imposter syndrome (IS) is a term that was first used by psychologists Suzanna Imes and Pauline Rose Clance in the 1970s. When the concept of IS was introduced, it was originally though to apply mostly to high achieving women. Since then, it has been recognized as more widely experienced, with 40 percent of high achieving people experiencing this phenomenon. To put it simply, it is the experience of feeling like a phony—you feel as though at any moment you are going to be found out as a fraud—like you don't belong where you are, and you only got there through dumb luck. While impostor syndrome is not a recognized disorder in the Diagnostic and Statistical Manual of Mental Disorders (DSM-V), it is not uncommon. It's easy to see how impostor syndrome and social anxiety may overlap. A person with social anxiety disorder (SAD) may feel as though they don't belong in social or performance situations. You might be in a conversation with someone and feel as though they are going to discover your social incompetence. 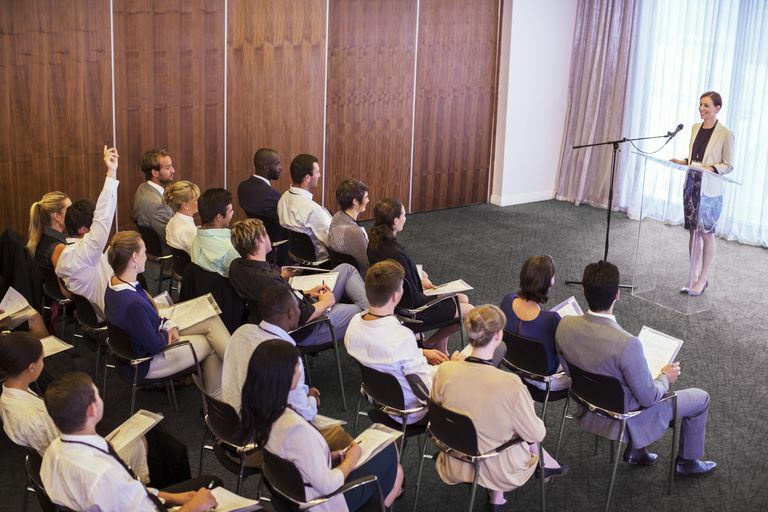 You might be delivering a presentation and feel as though you just need to get through it before anyone realizes you really don't belong there. We know that certain factors can contribute to the more general experience of impostor syndrome. For example, you might have come from a family that highly valued achievement or had parents who flipped back and forth between offering praise and being critical. We also know that entering a new role can trigger impostor syndrome. For example, starting college or university might leave you feeling as though you don't belong and are not capable. While for some people, impostor syndrome can fuel feelings of motivation to achieve, this usually comes at a cost in the form of constant anxiety. You might over-prepare or work much harder than necessary to "make sure" that nobody finds out you are a fraud. This sets up a vicious cycle, in which you think that the only reason you survived that class presentation was because you stayed up all night rehearsing. Or, you think the only reason you got through that party or family gathering was that you memorized details about all the guests so that you would always have ideas for small talk. The problem with impostor syndrome is that the experience of doing well at something does nothing to change your beliefs. Even though you might sail through a performance or have lunch with coworkers, the thought still nags in your head, "What gives me the right to be here?" The more you accomplish, the more you just feel like a fraud. It's as though you can't internalize your experiences of success. This makes sense in terms of social anxiety if you received early feedback that you were not good at social or performance situations. Your core beliefs about yourself are so strong, that they don't change, even when there is evidence to the contrary. If you do well, it must be the result of luck, because a socially incompetent person just doesn't belong. Eventually, these feelings worsen anxiety and may lead to depression. People who experience impostor syndrome also tend not to talk about how they are feeling with anyone and suffer in silence, just as do those with social anxiety disorder. "What core beliefs do I hold about myself?" "Do I believe I am worthy of love as I am?" "Must I be perfect for others to approve of me?" Perfectionism plays a significant role in impostor syndrome. You might think that there is some perfect "script" for conversations and that you cannot say the wrong thing. You probably have trouble asking for help from others and may procrastinate due to your own high standards. How often have you put off making a phone call until the "right time?" Share your feelings. Talk to other people about how you are feeling. These irrational beliefs tend to fester when they are hidden and not talked about. Focus on others. While this might feel counterintuitive, try to help others in the same situation as you. If you see someone who seems awkward or alone, ask that person a question to bring him or her into the group. As you practice your skills, you will build confidence in your own abilities. Assess your abilities. If you have long-held beliefs about your incompetence in social and performance situations, make a realistic assessment of your abilities. Write down your accomplishments and what you are good at, and compare that with your self-assessment. Take baby steps. Don't focus on doing things perfectly, but rather do things reasonably well and reward yourself for taking action. For example, in a group conversation, offer an opinion or share a story about yourself. Question your thoughts. As you start to assess your abilities and take baby steps, question whether your thoughts are rational. Does it make sense that you are a fraud, given everything that you know? Stop comparing. Every time you compare yourself to others in a social situation, you will find some fault with yourself that fuels the feeling of not being good enough or not belonging. Instead, during conversations, focus on listening to what the other person is saying. Be genuinely interested in learning more. Use social media moderately. We know that the overuse of social media may be related to feelings of inferiority. If you try to portray an image on social media that doesn't match who you really are or that is impossible to achieve, it will only make your feelings of being a fraud worse. Stop fighting your feelings. Don't fight the feelings of not belonging. Instead, try to lean into them and accept them. It's only when you acknowledge them that you can start to unravel those core beliefs that are holding you back. Refuse to let it hold you back. No matter how much you feel like you don't belong, don't let that stop you from pursuing your goals. Keep going and refuse to be stopped. Remember that if you are feeling like an impostor, it means you have some degree of success in your life that you are attributing to luck. Try instead to turn that feeling into one of gratitude. Look at what you have accomplished in your life, and be grateful. Don't be crippled by your fear of being found out. Instead, lean into that feeling and get at its roots. Let your guard down and let others see the real you. If you've done all these things and still feel like your feeling of being an impostor is holding you back, it is important to speak to a mental health professional. ClancePR, Imes SA. The imposter phenomenon in high achieving women: dynamics and therapeutic intervention.Psychotherapy: Theory, Research and Practice.1978;15(3):241-247. Fraenza CB. The Role of Social Influence in Anxiety and the Imposter Phenomenon. Henning K, Ey S, Shaw D. Perfectionism, the imposter phenomenon and psychological adjustment in medical, dental, nursing and pharmacy students.Med Educ. 1998;32(5):456-464. Lasting Change Counseling. Therapy Behind the Scenes – Part II. Insider Truths About Imposter Anxiety. Sakulku J, Alexander J. The Imposter Phenomenon. Int J Beh Science. 2011;6(1):73-92.